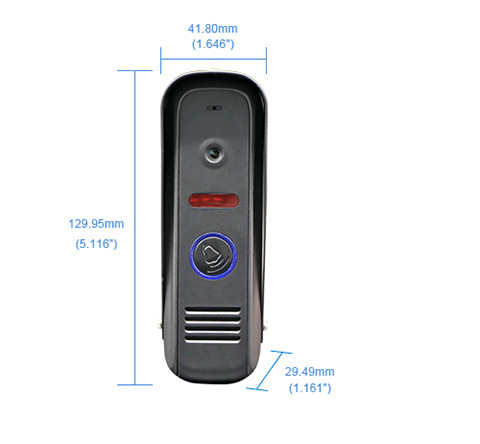 With Jeatone 10 Wired Video Door Phone System, Visitor Can Use Call Panel Calls, Then You Use Indoor Monitor Unlocking, Monitoring, Intercom, Taking Pictures And Recording Video..
​Due To The Perspective Characteristics, Wide Angle Lens Will Have Certain Deformation (Near The Center Lens Deformation Is Small, Marginal Deformation More Serious), Distance From The Camera When The Subjuect Is Close, Body Image Deformation Will Be Larger. Clock & Date Information Keep Display On The Screen All The Time. Different Calling Melody And Ring Time Available Setting On Morning/Afternoon/Night. The Monitor Is Made Of Aluminum Alloy Shell And TFT Display, Very Elegant Design. It Adopt Advanced Touch Technologyu, With Sensitive Blue And Red Night. 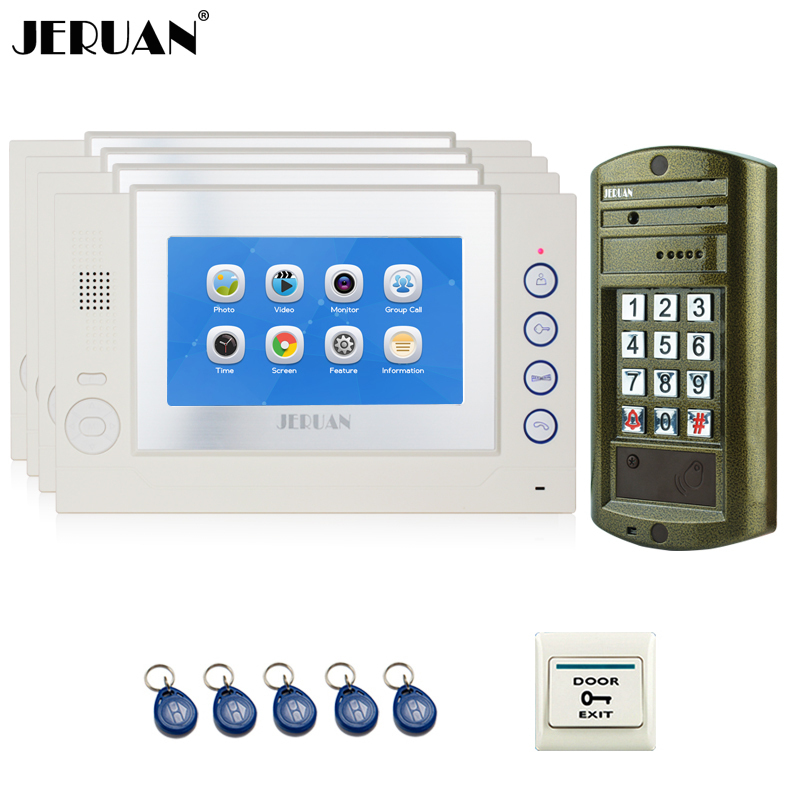 Our 10" Video Door Phone Set Supports Connecting With PIR Detector, Analog Camera And Alarm System. It Can Protect Your Home And Property in All Aspects. This Item is Handsfree And Available For Dual-way Communiction. It Supports Communication Between Indoor Monitor And Outdoor Camera, But Also Supports Communication Between Monitor And Monitor. When Someone Rings The Doorbell, The Monitor Inserted With SD Card Will Record Picture Or Video Automatically. If The SD Card Doesn\'t Applied, The Monitor Will Just Only Record Picture. The Built-in Memory Could Save 86 Pictures. With SD Card, You Can Set The Recording Mode To Video. When The SD Card Is Fulled, The Eearliest Recorded Video Will be Deleted Automatically. It Can Also Work Well Even In Bad Weather. It Helps You Identify Visitors Even In the Dark Night. We Will Send Applicative Power Adapter To You According To Your States. PIR Installation Separately Can Be For Alarm Promptonly, Work With Camera Together Can Alarm And Video Recording.